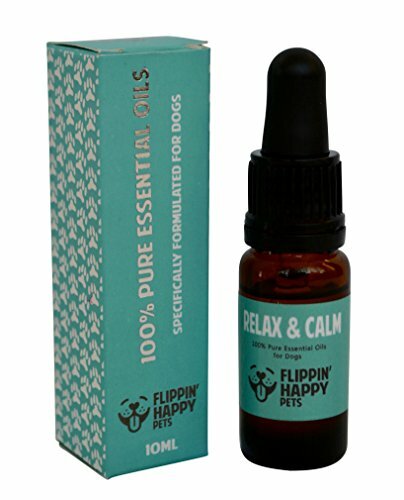 Flippin' Happy Pets encourages the use of 100% pure essential oils as an alternative to help support a dog's well being. Here at Flippin' Happy Pets we're ready to share this wonderful practice, and we're excited for you and your pet to be FLIPPIN' HAPPY! Many of us have heard about the benefits essential oils can provide humans, they are equally beneficial for dogs. We have worked hard over the years to create the perfect blends that will take all the guess work out of what essential oil to use for each issue. All of our blends have been tested and tried by dog owners all over Canada and the United States, from sled dogs to working dogs to show dogs to the family dog. The 100% Pure Essential Oil Blends and the beautiful Flippin' Happy Pets Aromatherapy Locket is the result of all the testing and going back to the lab with our Aromatherapists to get it just right. We wanted the best blends with the most effectiveness for our own four legged friends and to pass that on to our fellow dog owners. Here at Flippin' Happy Pets we believe ANIMALS make people more human and we will always be doing our best to give the best to ANIMALS! We're excited to provide you with our free eBook that provides complete instructions, benefits and precautions when using Essential Oils for your dog. Please seek Veterinary and/or Pet Aromatherapist advice should you have any concerns. PROPRIETARY TOPICAL BLEND containing organic ingredients of lavender and gentle safflower oil that help to relieve excessive barking, inability to relax, crating, separation anxiety, fear of thunder, loud noises, fireworks and more. APPLIED DIRECTLY TO COAT, SKIN, BEDDING OR BANDANA: The therapeutic grade essential oils are versatile and support your dog in feeling calm, relaxed and reduce hyperactivity in your pet. SAFE AND THERAPEUTIC: Flippin Happy Pets pride themselves in ensuring the safety and wellness of your beloved pet. While our essential oils can be applied as above, they are most effective used with our Aromatherapy Dog Collar Locket which is the best method of aromatherapy inhalation for dogs. IMPROVE EFFECTIVENESS IN DOG TRAINING: When your dog is calm and focused, he is more likely to learn approved behaviors and tricks quickly. Groomers love our premium quality blend as it aides in keeping your dog still, stress-free and compliant - resulting in your pup looking his or her best all year round. BONUS EBOOK PROVIDED: Our experts at Flippin Happy Pets are proud to deliver to you our free eBook 'Aromatherapy For Dogs' - available with every purchase. If you have any questions about this product by Flippin Happy Pets, contact us by completing and submitting the form below. If you are looking for a specif part number, please include it with your message.